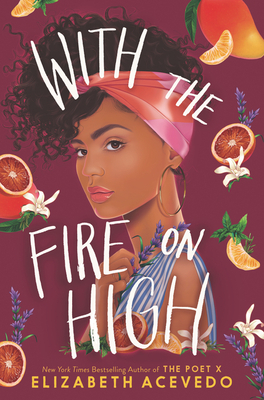 From the New York Times bestselling author of the National Book Award longlist title The Poet X comes a dazzling novel in prose about a girl with talent, pride, and a drive to feed the soul that keeps her fire burning bright. Ever since she got pregnant freshman year, Emoni Santiago’s life has been about making the tough decisions—doing what has to be done for her daughter and her abuela. The one place she can let all that go is in the kitchen, where she adds a little something magical to everything she cooks, turning her food into straight-up goodness. Even though she dreams of working as a chef after she graduates, Emoni knows that it’s not worth her time to pursue the impossible. Yet despite the rules she thinks she has to play by, once Emoni starts cooking, her only choice is to let her talent break free.